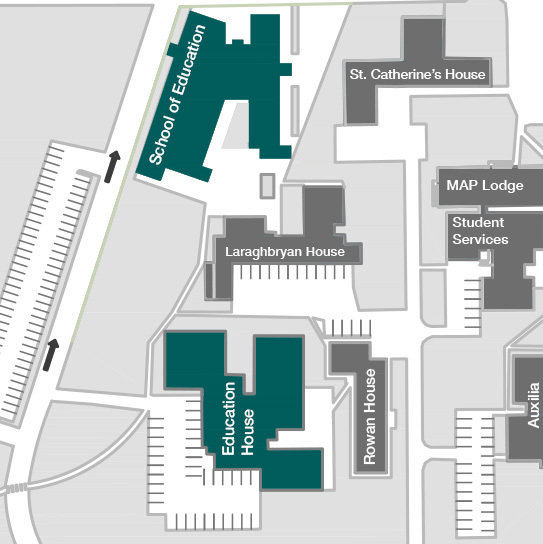 The Centre for Teaching and Learning was established in September 2008, building on the existing teaching and learning activities within the University. Our aim is to enhance Teaching and Learning at Maynooth University through the support and development of good practice and innovation in teaching and learning. We support the implementation and development of the Maynooth University Teaching and Learning Strategy through a range of initiatives for staff and students across the University. Bunaíodh an tIonad Teagaisc agus Foghlama i mí Mheán Fómhair 2008, le cur leis na gníomhaíochtaí teagaisc agus foghlama a bhí ar siúl in Ollscoil Mhá Nuad ag an am. Is í an aidhm atá againn Teagasc agus Foghlaim in Ollscoil Mhá Nuad a fheabhsú trí dhea-chleachtais agus trí nuálaíocht i dteagasc agus i bhfoghlaim a fhorbairt. Tacaímid le Straitéis Teagaisc agus Foghlama Ollscoil Mhá Nuad, straitéis atá á cur i bhfeidhm trasna na hOllscoile trí réimse tionscnamh atá forbartha do bhaill foirne agus do mhic léinn. The Centre for Teaching and Learning is delighted to announce the 2019 Teaching and Learning Fellowship recipients. The Academic Advisory Office is a first point of contact for students who wish to seek advise or assistance with their general experience of University life. Moodle is an online learning environment where students and staff interact with each other, and with learning resources for courses and modules. We offer two accredited programmes in teaching and learning, the Postgraduate Diploma in Higher Education (PGDHE) and the Professional Certificate in Postgraduate Teaching and Learning (CTL1).